Darjeeling is the most popular hill station in West Bengal and the highest in the entire country. It was first brought to notice by the British who, mesmerized by the beauty of the place decided to turn it into their summer capital. The Brits also introduced tea cultivation in the slopes of the ‘Queen of Hills’ which eventually became one of the main industries in the region. This wonderland now is the highest exporter of tea and the only place in India that fathers leafy flavored tea. 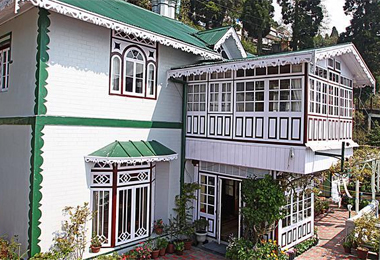 Heritage hotels in Darjeeling are mostly converted colonial summer houses, villas and residences. Darjeeling can be reached by road from Siliguri, the foothill city to the Himalayas in West Bengal. But the most rewarding way to reach Darjeeling is by toy train from New Jalpaiguri. This train service is over100 years old and has been declared a World Heritage Site by UNESCO. The train, drawn by the century-old locomotive engine meanders through lush tea plantations, waterfalls and undulating paths. The railway track passes through Ghum, the highest railway station in the world. 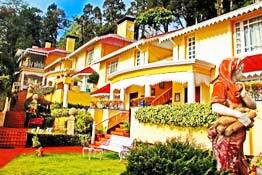 Heritage hotels in Darjeeling offer utmost comfort in exotic settings. 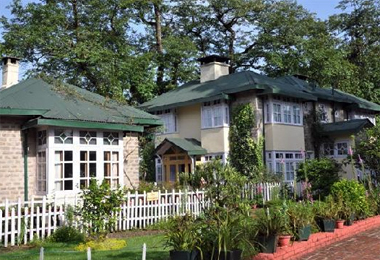 Hotel New Elgin Darjeeling located in Lama Road Darjeeling is a heritage hotel replete with the combo of an old world charm and oriental hospitality. On your entrance to the hotel, a silken Khada is wrapped around your neck to welcome you. The hotel offers luxurious accommodation, dining and other facilities. 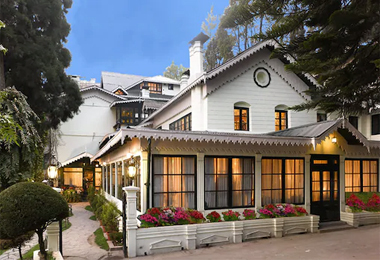 Hotel Silver Oaks Kalimpong is a heritage hotel housed in a colonial building set in a sylvan setting with a mind-blowing view of the Himalayas and surrounded by landscaped gardens. The list doesn’t end here! 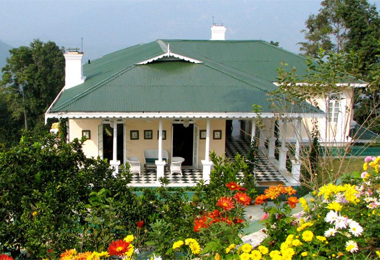 There are many other Heritage Hotels in Darjeeling that can cater to the needs of any kind of traveler. So wait no more and start browsing by clicking below.